Hair loss can be due to many reasons, even a slightest change in weather can cause hair loss. Or if we go towards more complicated reasons then it includes emotional stress, pregnancy, anxiety, physical trauma etc. this further adds some serious medical problems like poly cystic ovary syndrome, anemia, trichotillomania, hypothyroidism, autoimmune related hair loss etc. The thinning or reduction of hair is also due to some deficiencies or excess of nutrients which our body is going through which includes, too much vitamin A, vitamin B deficiency, lack of protein. Hair loss is usually hereditary i.e. your family decides whether you’ll be prone to hair loss or not, and that’s the most specific reason for the loss of hair. Well after getting know about a lot of reasons, you need not to be worried as hair transplant will always remain an option. Males and females have different patterns for hair loss. Yes! You read it right, even a thing like losing hair is different in both the genders. Pattern hair loss, which is known as male-pattern hair loss (MPHL) as it affects the males and female-pattern hair loss (FPHL) as it affects the females, is hair lossthat actually affects the front and top of the scalp. In males, the hair loss presents as a receding hairline, while in females, it presents as a thinning of the hair. The hair loss pattern in males is believed to be due to a combination of genetics and the male hormone called as dihydro testosterone. The cause in female pattern hair loss remains unclear to this date. Hair loss pattern by the age of fifty affects about half of the males and a quarter of the females. Even if these patterns are different, the treatment remains the same foe male and females. PRP hair treatment is the most used technique in this time. There are different types of drugs but do we really know what a drug is?A drug is a kind of medicine or chemical which decides how your body or brain functions. There are different drugs like legal drugs, which you can buy over the counter (OTC) or get from a health professional, and illegal (or ‘street’) drugs. There are medical drugs and recreational drugs. Some medical drugs have side effects that appear to people who don’t have a medical reason and still take them. These include: opiate painkillers and amphetamines. Although these are prescribed for medical purposes, they can be extremely dangerous. Whereas, recreational drugs include depressants, stimulants and hallucinogens. If we relate hair loss to drug addiction, then it’s definitely possible as everyone knows that excess of anything can be dangerous.There is some debate over the matter as to date there have been no large scale studies on hair loss as a direct result of human use of drug. However, there is a link. 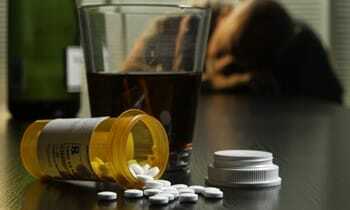 Taking recreational drugs cause a significant rise in Adrenalin level and this can affect the body and subsequently the hair growth cycle.All recreational drugs have the ability to cause a type of hair loss called as telogen effluvium because taking the drugs can cause a shock to the system. As a result, a certain hair follicle will prematurely stop growing and enter the resting i.e. Telogen phase, where it remains for three months, after which time it is shed. If the person stops taking drugs and the body is able to re balance itself naturally, then the hair would return to the normal growth cycle approximately six months after leaving the drugs. Some drugs can also lead to another condition, called as Diffuse thinning. 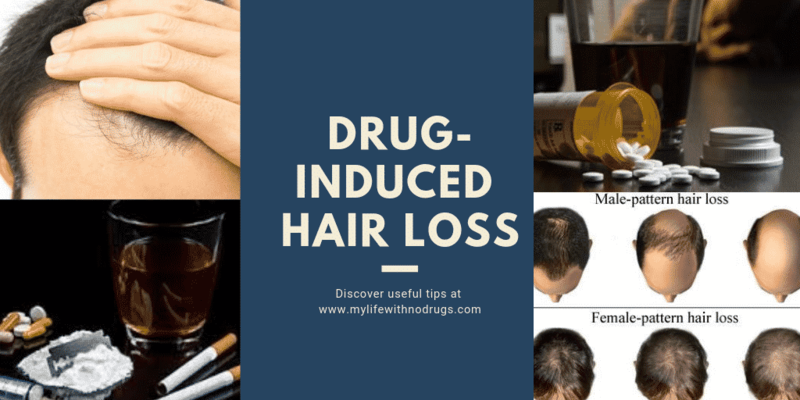 In which the hair loss sometimes, is a secondary effect of drug intake, usually Cocaine, due to malnutrition as most regular users do not tend to have the appetite to eat healthy. It is difficult to say that who is going to be the victim of this condition. But another question arises that just like the hair loss patterns, does the tolerance of an individual to a certain drug matters?Tolerance for the quantity of drug which people take or frequency of intake varies between individuals. That means one person can be affected by just one or two drug binges yet we know about many celebrities who are drug addicts but still have a lot of hair and regularly take drugs. This shows their increased tolerance towards drugs. The regularuse of some recreational drugs will also generally lead to health illness and feeling ‘run-down’ which can affect sleep patterns and further lowers a person’s immune system. Again, these factors contribute to a weak hair growth cycle and exacerbate other hair loss conditions such as male baldness and female hair loss. Do the drugs only lead to hair thinning or they trigger permanent hair loss? That’s another head scratching question. Well, it is possible that the hair loss which is caused by drug use is temporary but for some people suffering through telogen effluvium or diffused thinning, there hair loss can further trigger female pattern hair loss or male pattern baldness. This condition is caused due to a inherited sensitivity to Dihydrotestosterone (DHT – the hormone that attacks the hair follicles resulting in slower growth and eventually stopping all growth at the top of the scalp from hairline to the crown) and, if left untreated, it can lead to eventual baldness in men and significant thinning of the hair in women. 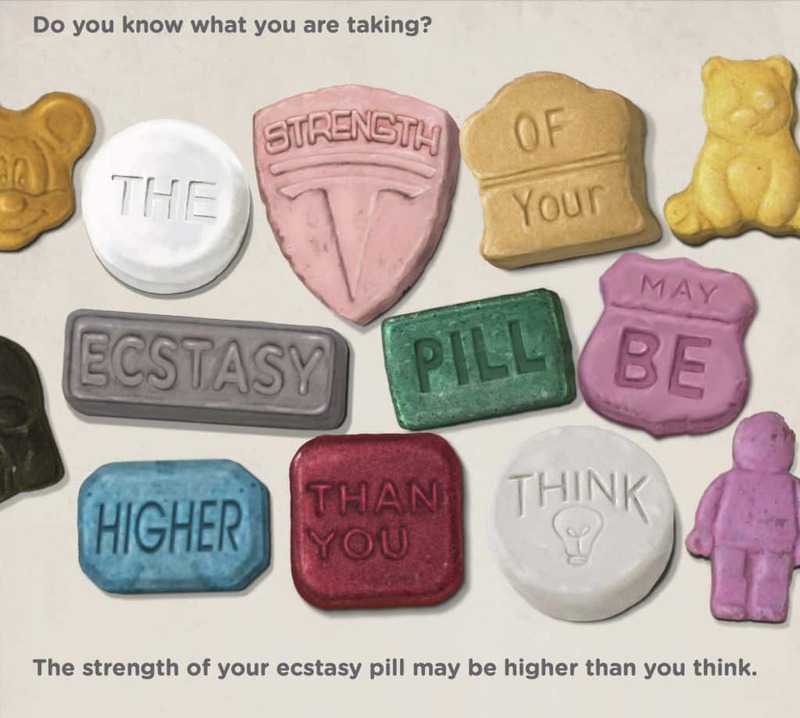 Approximately eighty per cent of men and fifty per cent of women will develop the condition at some point in their lives, whether or not they take recreational drugs, however the use of illegal drugs can make this condition more worse or make it start earlier than it would normally. There are some products which also cause hair loss, but they aren’t pure drugs. These are substances mixed with drugs. Hair loss may be related to adulterated drugs. Powder that is sold as cocaine is often found to be adulterated with thallium salts (rat poison). A study showed that, after using such adulterated cocaine, individuals had developed extensive hair loss. Thallium is known to cause thinning of hair due to telogen effluvium at low doses and would kill people at higher doses. Saima Sharif is a freelancer content writer. My major interest is writing content on topics such as hair fall, hair solution, home remedies for hair problems or any treatment related to this. Her current adventure is myhairclinic Revivo hair (Pakistan oslo and London). Previous article Male Enhancement Pills for Your Best Performance Ever!